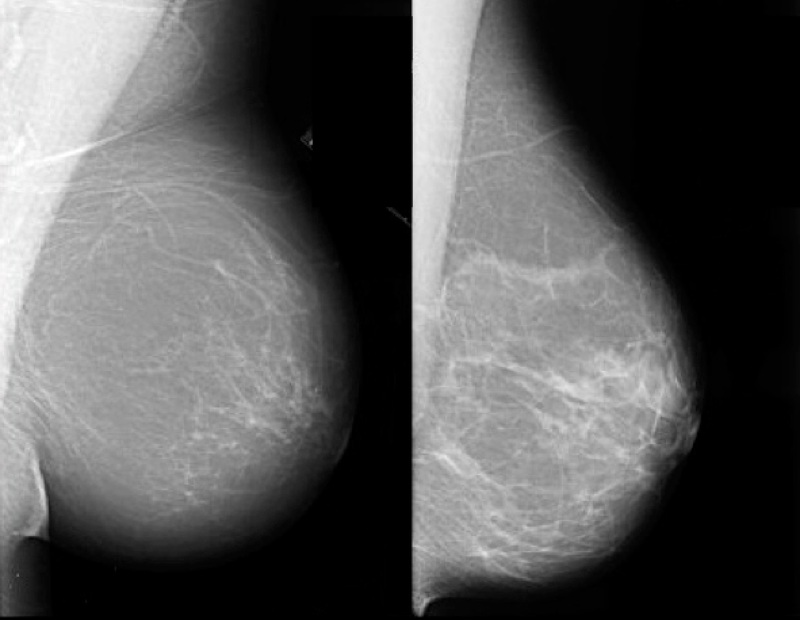 It is well established that women with dense breast tissue (seen at right) have an increased risk – of four- to six-fold – for developing breast cancer compared to women with less dense breasts (seen below right). This is a significant factor, considering that 40% of women have either heterogeneously dense or extremely dense breast tissue. To this must be added the challenge that cancer shows up white on an X-ray and so the dense breast tissue can mask the presence of a tumour. The problem has been described as trying to identify a polar bear in a snowstorm. It would therefore make sense to discover the cause of dense breast tissue and, if possible, to find ways to reduce the density. High levels of the hormone oestrogen are associated with increased breast density, and tamoxifen is an oral therapeutic drug commonly used to treat and prevent some types of breast cancer by reducing the level of oestrogen. So, perhaps tamoxifen could be used to reduce breast density. However, because the drug is taken orally, it affects oestrogen levels throughout the body and can therefore induce side effects such as blood clots, vaginal bleeding and uterine cancer. A drug company called BHR Pharma has therefore developed a gel containing tamoxifen that can be applied directly to the breast. A clinical trial (NCT03199963) has been designed to see whether it is possible to reduce breast density. This is a randomized, double-blind, multi-centre and placebo-controlled study in which 330 women, aged 35 to 75 with dense breast tissue – as assessed by full-field digital mammography (FFDM) – and no prior history of cancer, will be enrolled. The participants will be randomized to one of two arms: either the tamoxifen gel or a placebo gel will be applied each day for up to a year at a dose of 8 mg/day (4 mg per breast). Both gels are clear and odourless, intended to be applied directly to each breast after bathing, and incorporated within each woman’s daily skincare routine. After one year of treatment, breast density will be measured again using FFDM. 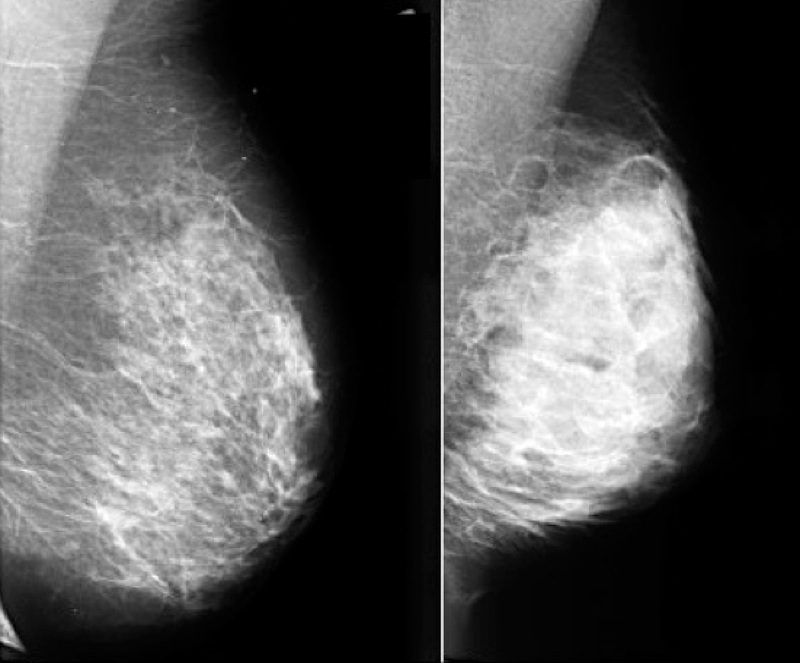 According to the trial’s principal investigator, Dr Pulin Sheth: “We need a deeper understanding about the nature of breast density as well as imaging techniques that can detect tumours more easily. We are excited to assess a clinical innovation that could potentially fulfill both of these needs through a simple daily topical application.” However, because a cause-effect relationship between high density and breast cancer is not yet proven, further studies will surely be necessary. Great blog Kit. Complex subject simply and clearly explained and illustrated. BUT IN THE MEANTIME, WHY THE DELAY IN FUNDING THE D 3 AB US MAMMOGRAPHY MACHINE CAPABLE OF FINDING 95% OF EARLY BREAST CANCERS IN WOMEN WITH DENSE BREAST TISSUE? WHERE ARE THE WOMEN ACTIVATORS ?